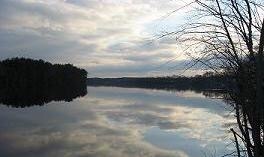 Megunticook Regatta will be held today on Megunticook Lake in Camden, Maine. Maine Rowing Association will host 45 entries from 7 clubs to a choice of a 10 mile or 3 mile course. 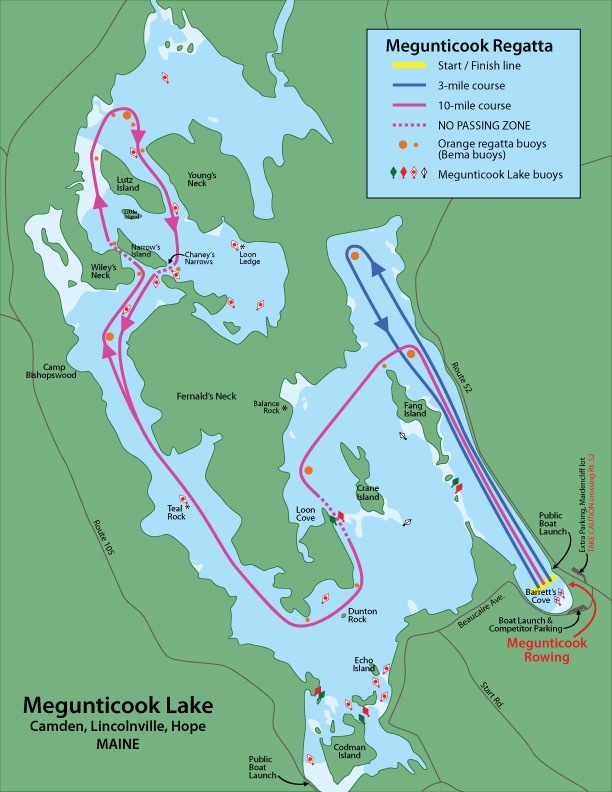 For more information about Megunticook Regatta check HERE. In Canada, Head of the Reach will be held at Deas Island Regional Park in Delta, British Columbia. Delta Deas Rowing Club will host 45 entries from 7 clubs on the Deas Slough. 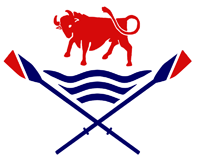 In British Rowing Upton Rowing Club hosts Upton Beginners Regatta on Sunday 11th September 2016 in the West Midlands region in the town of Upton-on-Severn, Worcestershire. Cambridge Autumn Regatta will be held Sunday 11th September 2016 hosted by Cambridge ’99 Rowing Club founded in 1899 on the Carn. 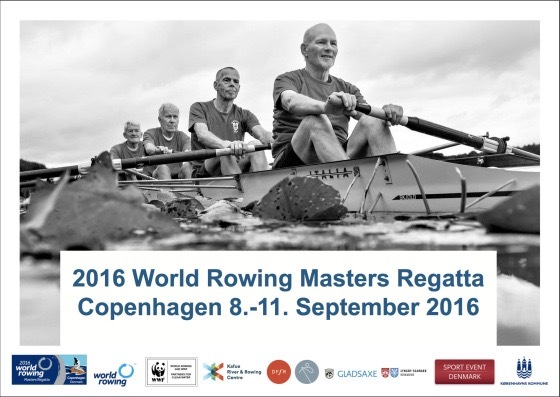 World Rowing Masters Regatta 2016 (WRMR) finish today in Copenhagen, Denmark for Master – International entries on Lake Bagsvaerd organized by FISA. 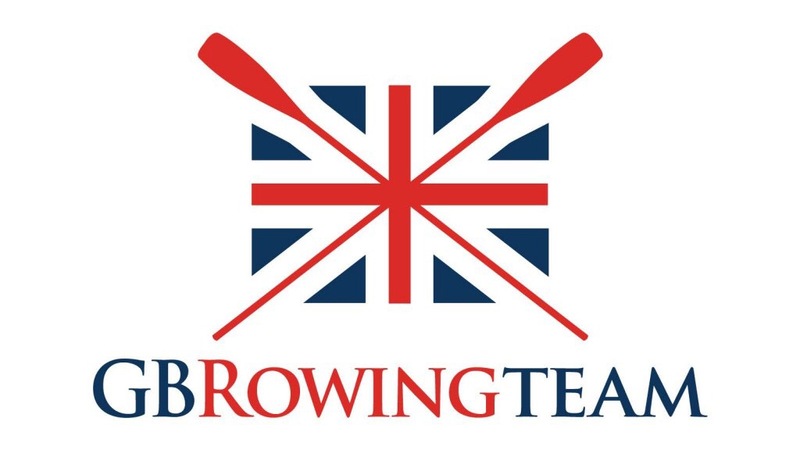 Lauren Rowles of Great Britain TAMix2x has only been rowing for one year. On winning gold with Laurence Whiteley at the Paralympic Games Rowles said, “It’s not as quick water as we were expecting but we went out hard and then tried to hold everyone off. We just had the race of our lives and we enjoyed it.” I bet they did. For livestream check HERE, and in Britain finals will broadcast live on channel 4 at 14:30. Today, the last Sunday in August offers a wrap up of the summer month with a curious mixture of long regattas, marathons really to loudly squeak out the remains of the season. A rower’s endurance is measured for a Chicago Dirty Dozen and more. Back again this year is the first in a series of three endurance regattas planned for Chicago on the Chicago River at the Dammrich Boathouse. Today the Chicago Dirty Dozen 3k Challenge will be held for three committed sculling entries from one club hosted by the Alliance Rowing Club of Illinois. On tap for September is a 5k followed by a final 6k in October. 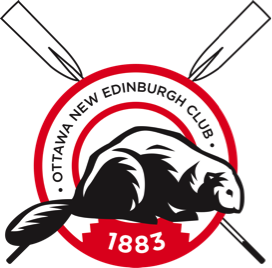 In Canada, Ottawa New Edinburgh Club, established in 1883 will host the Canadian Rowing Marathon, a full 42km and a half 21km marathon on the Ottawa River. In British Rowing, Bideford, Port Of, Regatta will be held Sunday 28th August 2016. 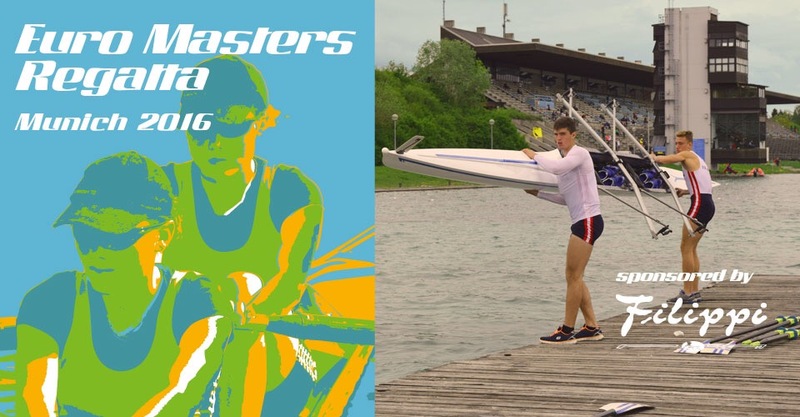 Ross Masters & Junior Regatta will be held for Junior and Master entries Sunday 28th August 2016 in the West Midlands region hosted by Ross Rowing Club, Rope Walk, Ross on Rye, Herefordshire. 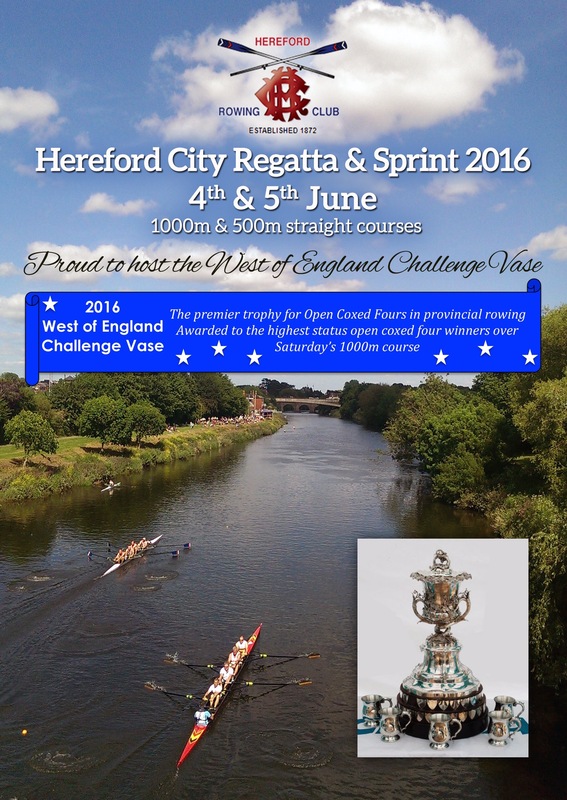 Gloucester Open Regatta will be held Sunday 28th August 2016 in the WAGS region hosted by Gloucester Rowing Club. Boston Regatta will be held Sunday 28th August 2016 in the East Midlands region hosted by Boston Rowing Club. World Rowing Senior, U23, and Junior Championships wrap up today in Rotterdam, The Netherlands hosted by FISA. For livestream and results check HERE. Yesterday was a scorcher for sure and I hope today is a little less steamy, a bit more shady and a lot more stealth for pulling water! USRowing Southwest Regional Masters Championship will be held today on Lake Merritt in Oakland, California. USRowing will host 423 entries from 33 clubs. 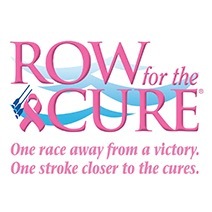 2016 Row for the Cure – Portland/Vancouver, a very important cause and row will be held on Vancouver Lake in Vancouver, Washington hosted by Station L Rowing Club. There will be 92 entries from 12 clubs. To donate check HERE. The Twin Cities Juniors Sweeps will be held today on Bryant Lake, Three Rivers Regional Park, in Eden Prairie, Minneapolis, Minnesota. Twin Cities Junior Rowing will host 75 entries from 5 clubs. 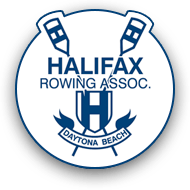 20th Annual Halifax Summer Regatta continues for another day on the Intercoastal Waterway, Halifax River in Daytona Beach, Florida hosted by Halifax Rowing Association. 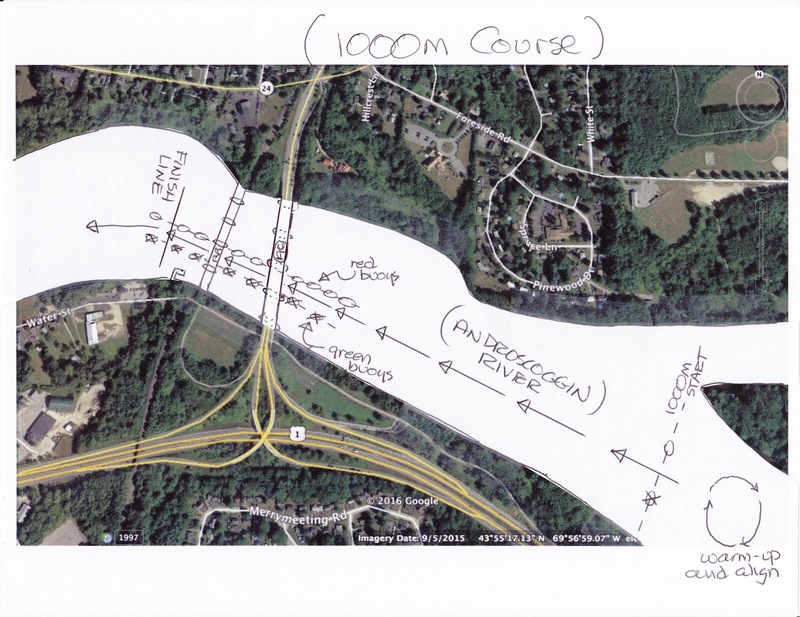 Diamond States Masters Regatta will continue on Noxontown Pond, Middletown, Delaware hosted by Wilmington Rowing Center. In Canada, the ROWONTARIO Championships continue today at the Welland International Flatwater Centre South Course in Welland, Ontario hosted by ROWONTARIO/Welland Recreational Canal Corporatation. 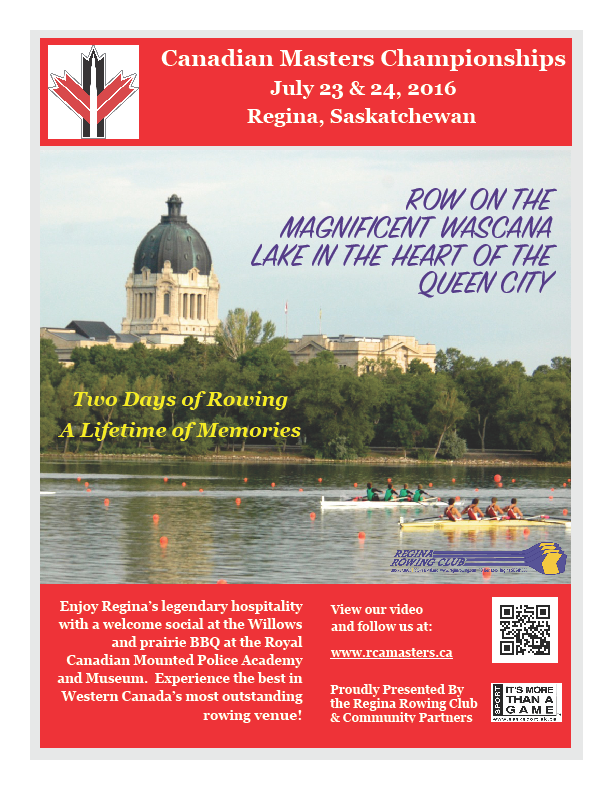 Rowing Canada Aviron (RCA) Canadian Masters Championships continue for another day on Wascana Lake in Regina, SK hosted by Regina Rowing Club. ***CANCELLATION*** Burway Rowing Club has canceled the Burway Sprint Regatta, today, Sunday 24th July 2016 planned for the River Thames between Laleham and Chertsey. The Bewdley Sprint will be held Sunday 24th July 2016 in the West Midlands region hosted by Bewdley Rowing Club on the River Severn. 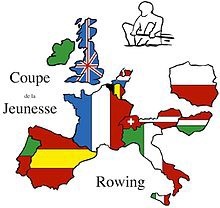 In World Rowing, 2nd Barcelona International Royal Maritim Coastal Regatta, a 6k coastal race will head to finals continuing for another day in Spain hosted by Reial Club Marítim de Barcelona and Catalan Rowing Federation. Best wishes to all! Stay stealth, keep cool and hydrate! The Schuylkill Navy Regatta will be held today, June 18, 2016 in Philadelphia on the Schuylkill River. Schuylkill Navy will host 342 entries from 45 clubs. Virginia Boat Club Sprints Masters Regatta will be held today on the historic James River at Robious Landing Park in Midlothian, Virginia. Virginia Boat Club will host 131 entries from 20 clubs. In Minnesota, the Minneapolis Sprints will be held today on Lake Nokomis in where else but Minneapolis! Minneapolis Rowing Club will host 176 entries from 9 clubs. In Canada, the Tony Biernacki Senior Memorial Regatta will be held today on the WIFC North Course in Welland, Ontario. 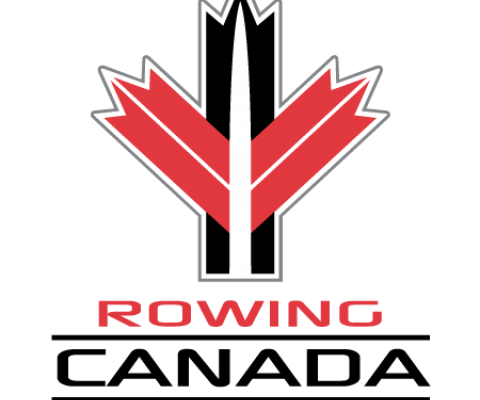 Brock Rowing Club will host 179 entries from 25 clubs. In British Rowing, Plymouth Regatta will be held on Saturday 18th June 2016. The Stratford Upon Avon Regatta will be held Saturday 18th June 2016 in the West Midlands region hosted by Stratford Upon Avon Boat Club, established in 1874. 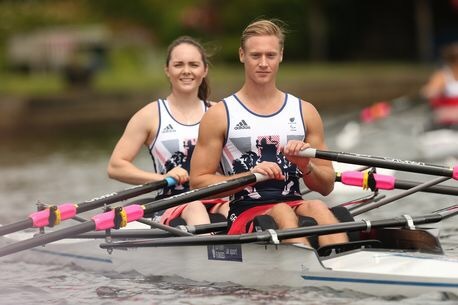 SuSBC is the Home of Paralympic Gold Medalist James Roe and Junior World Champion Camilla Hadland. The 161st Marlow Regatta will be held Saturday 18th June 2016 in the Thames region at Dorney Lake, Eton. 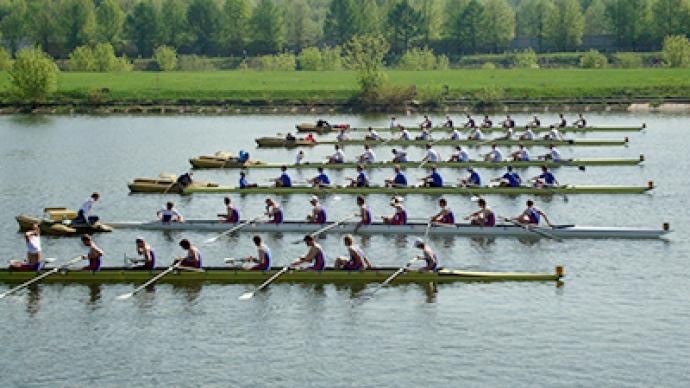 The move to the multi-lane 2000m rowing course near Windsor at Dorney Lake, Eton from the River Thames in Marlowe in 2001 brings additional international competitors hoping to prequalify for next month’s Henley Royal Regatta. 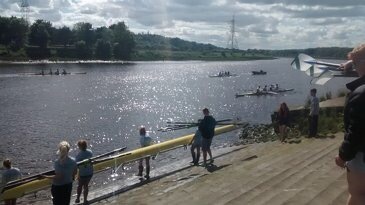 The Tyne Regatta will be held Saturday 18th June 2016 in the Northern region, at Water Row, Newburn, Newcastle Upon Tyne hosted by the Tyne Amateur Rowing Club. The St. Ives Regatta will also be held on Saturday 18th June 2016 hosted by the St. Ives Rowing Club. 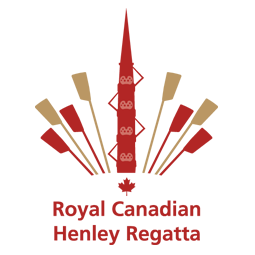 The Henley Women’s Regatta continues through Sunday in the Thames region. And in World Rowing, 2016 World Rowing Cup III continues through tomorrow in Poznan, Poland. For livestream check HERE. 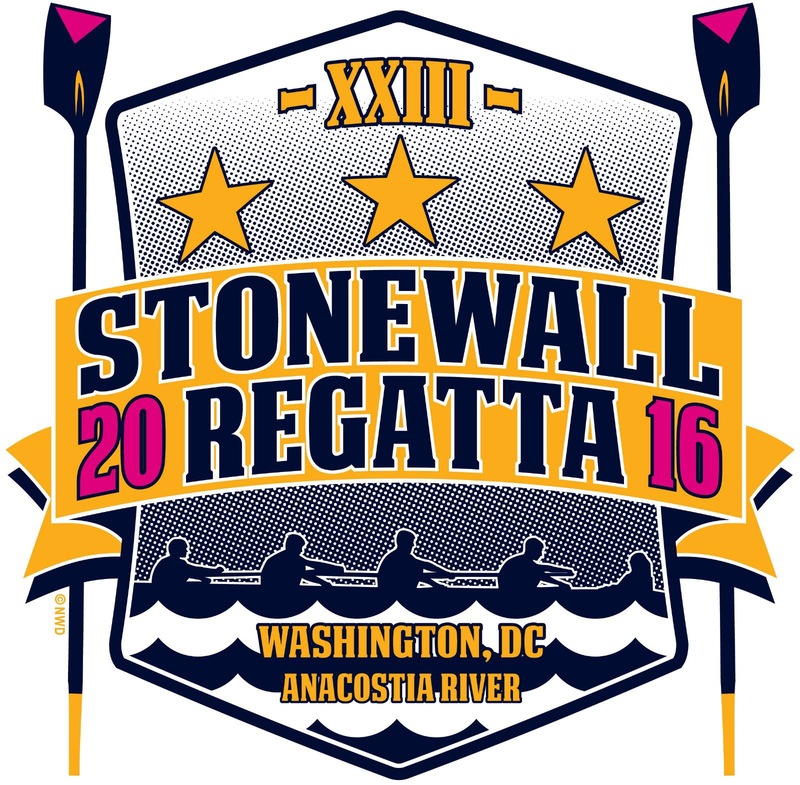 Stonewall Regatta XXIII will be held today in Washington, DC on the Anacostia River at the Community Boathouse. DC Strokes Rowing Club will host 252 entries from 23 clubs. The 12th annual Row for the Cure – Poughkeepsie, a 1500m race for a great cause will be held on the Hudson River in Poughkeepsie, New York. Wappingers Crew Club will host 122 entries from 15 clubs. Upper Merion Crew will host the Upper Merion 51st Annual Regatta in Bridgeport, Pennsylvania for High School and Junior entries. And in New Jersey, the IRA National Championship continues to finals on Mercer Lake hosted by USRowing College. Canadian Secondary Schools Association’s 71st CSSRA Championships continue in St. Catharines, Ontario for another day on the infamous Royal Canadian Henley Regatta Course. In British Rowing, Trentham Boat Club will host the Trentham Boat Club Regatta (ML) in the North West region on Trentham Lake. Peterborough City Rowing Club’s Peterborough Regatta continues for another day of 1k racing on Peterborough’s Thorpe Meadows next to the River Nene for Senior, Junior, Master and Adaptive single. 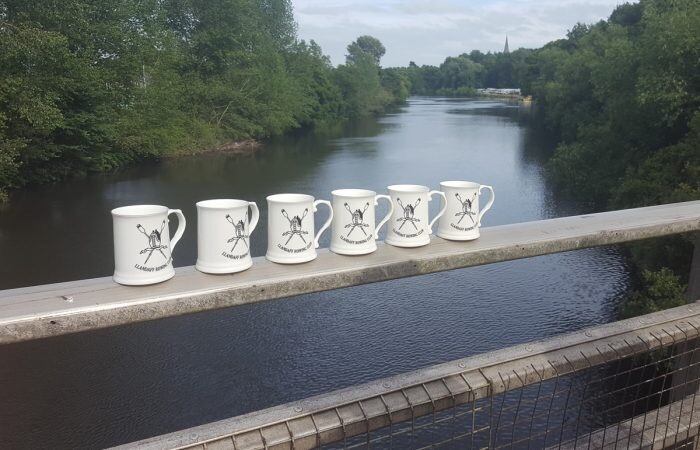 The Hereford City Regatta continues for another day hosted by Hereford Rowing Club, established 1872 on the River Wye in the West Midlands region. 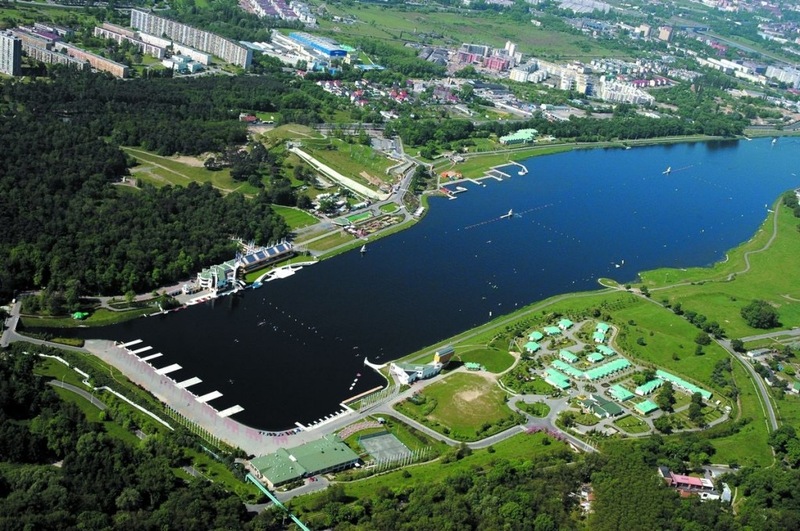 In World Rowing, the 2016 Grand Moscow Regatta continues to finals for Master, Under23 and Para entries on a 2000m race course hosted by the Russian Rowing Federation. The 2016 International DRV Junior Regatta for elite Junior entries with a 2000/1500m course continues in Hamburg, Germany hosted by Allgemeiner Alster-Club. The 2016 International Ratzeburg Regatta at Inselstadt Ratzeburg wraps up the 2000m event for Senior U23 and Lightweight entries hosted by the Ratzeburg Rowing Club. The Holland-Beker Regatta for Elite entries continues today to finals in Amsterdam. For livestream check HERE. Rowing Club Jarun hosts the 2016 International Jumbo Regatta, a 2000m event for Senior, Lightweight, Under23, Junior and Masters for another day in Zagreb, Croatia. And racing continues in the Czech Republic at Veslařský ostrov, a rowing island in the historic city of Prague on the Vltava River for Primátorky 2016, the 103rd Prague Mayor Eights, a regatta held since 1910, with the exception of WWI hosted by the Mayor of the city of Prague. 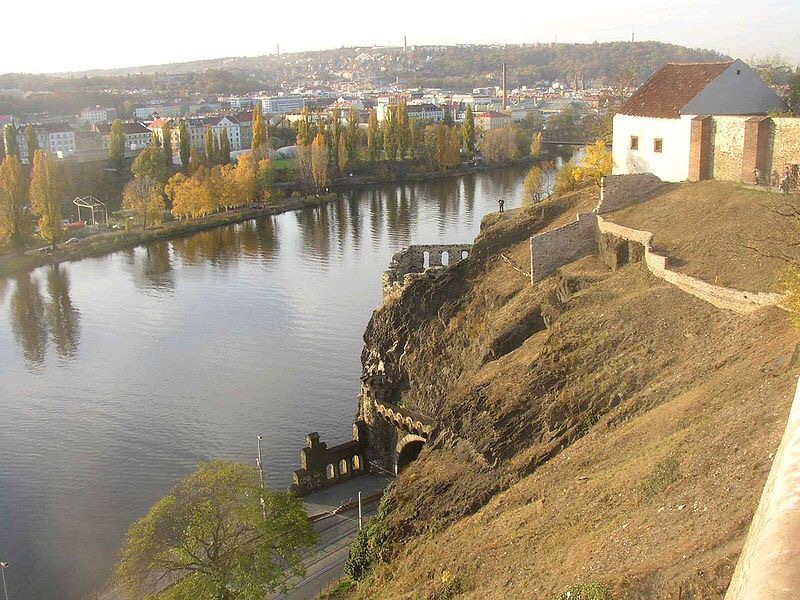 The course runs from the railway to the bridges bearing a bit of a curve along the way around Vyšehrad Rock. And how boats handle the steering of this curve has a lot to do with finishing the race. Best wishes to everyone, rock and roll! Olympic Trials and Open Ocean Rowing, Oh My! On the road to Rio! The Olympic and Paralympic Trials will start today, April 17 and continue for the next eight days to April 24 at Nathan Benderson Park in Sarasota, Florida hosted by USRowing. There will 73 entries from 30 clubs. 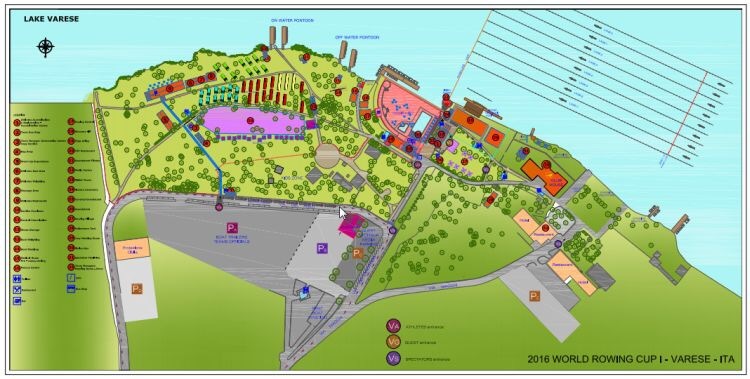 This course will be used for the 2017 World Championships. 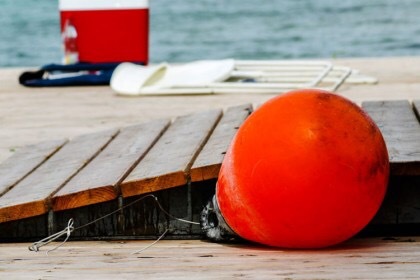 The 40th Annual Open Ocean Regatta will be held today hosted by the Open Water Rowing Center (OWRC) in Sausalito, California on San Francisco Bay. The OWRC takes rowing in open water seriously offering special race prep clinics leading up to today. There will be 48 entries in shells and traditional boats from 13 clubs choosing from three different courses in length and water conditions. 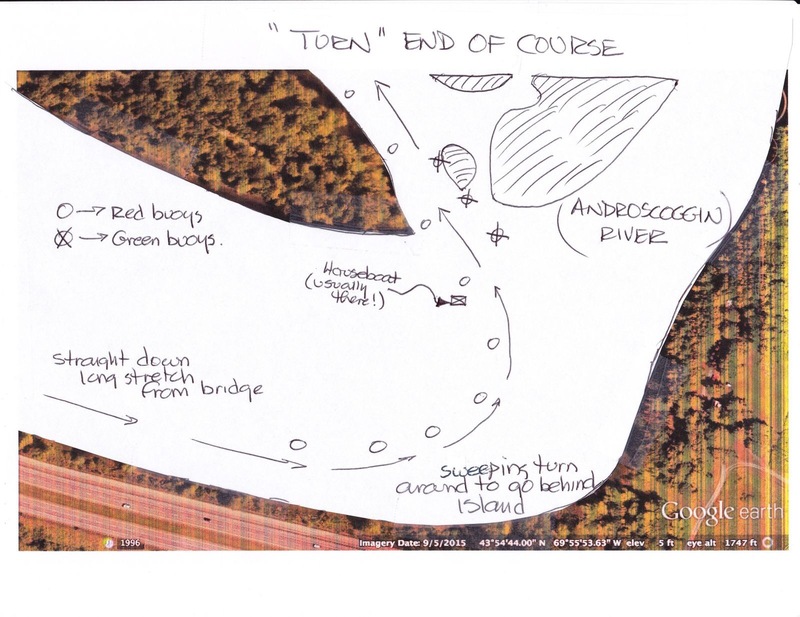 The short Downtown Triangle Course and the medium Richardson Bay Course both head along protected water. 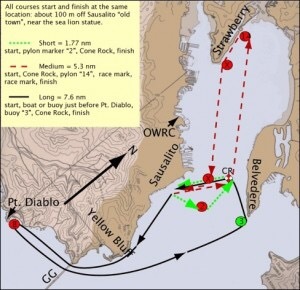 More challenging is the 14k Diablo Course due to the unpredictable conditions of open ocean rowing. The Diablo is the Black Diamond of open rowing geared for the most experienced open water rowers. The longest course will start near downtown Sausalito continuing under the iconic Golden Gate Bridge turning around at Diablo Point, returning back under the Golden Gate Bridge toward Belvedere’s Peninsula to finish back at the Sausalito waterfront starting point. Talk about coming full circle. Best part, there’s a post race barbecue! The 5th Manny Flick / Horvat Series will be held today in Philadelphia with an astounding 579 entries from 80 clubs. This is the final invitational sprint in the series on the Schuylkill River hosted by the Philadelphia Scholastic Rowing Association. UConn hosts URI, UVM UNH, UMASS and UML on home course at Patriot Park on Coventry Lake, Coventry, Connecticut. Go Huskies! EARC Lightweight Men: Yale vs. Cornell, Derby, Connecticut. The Covered Bridge Regatta continues for another day on Dexter Lake hosted by the Oregon Association of Rowers. The FSRA Sculling Championships will finish today at Nathan Benderson Park in Sarasota, Florida hosted by the Florida Scholastic Rowing Association. The SIRA continues on Melton Hill Lake in Oak Ridge, Tennessee hosted by the Southern Intercollegiate Rowing Association. The Texas Rowing Championships (TRC) will finish today at Festival Beach Park on Lady Bird Lake in Austin hosted by the Austin Rowing Club. In North Carolina, the Clemson Invite will conclude with final heats and Class of 1989 Points Plaque: Cornell vs. Penn, Clemson. The Mercer Lake/ISA Sculling Championships will wrap up at Mercer County Park in West Windsor, New Jersey. And the Lake Natoma Invitational will finish today in Gold River, California. 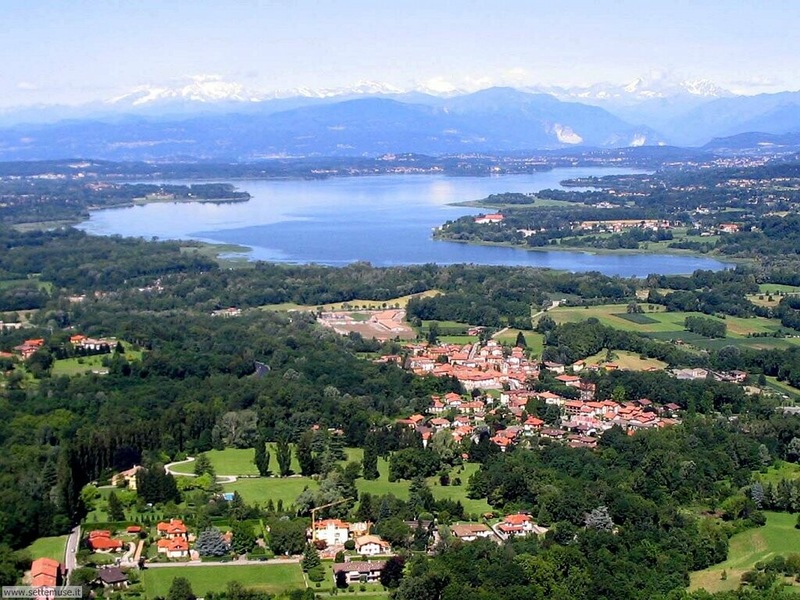 On the road to Rio in World Rowing, the 2016 World Cup wraps up today with finals in beautiful Varese, Italy organized by the Comitato Organizzatore dei Campionati. In bocca al lupo! 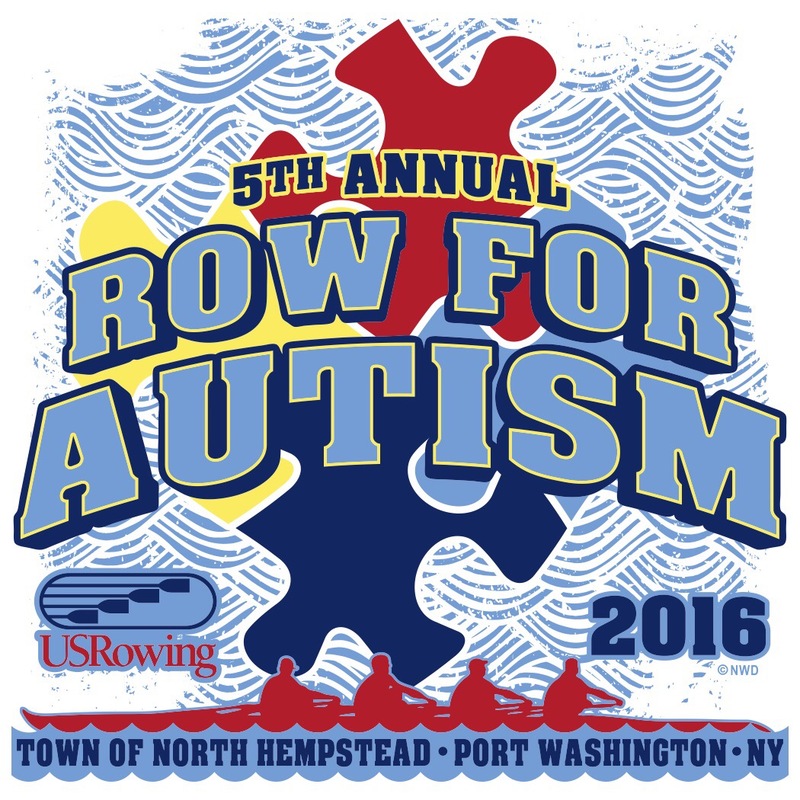 The 5th Annual Row for Autism will be held at North Hempstead Beach Park in Port Washington, New York Hosted by the Friends of Port Rowing. There will be 183 entries from 21 clubs. The Darrell Winslow Regatta will be held today at the Occoquan Reservoir in Fairfax Station, Virginia hosted by the Virginia Scholastic Rowing Association. There will be 248 High School entries from 48 clubs. 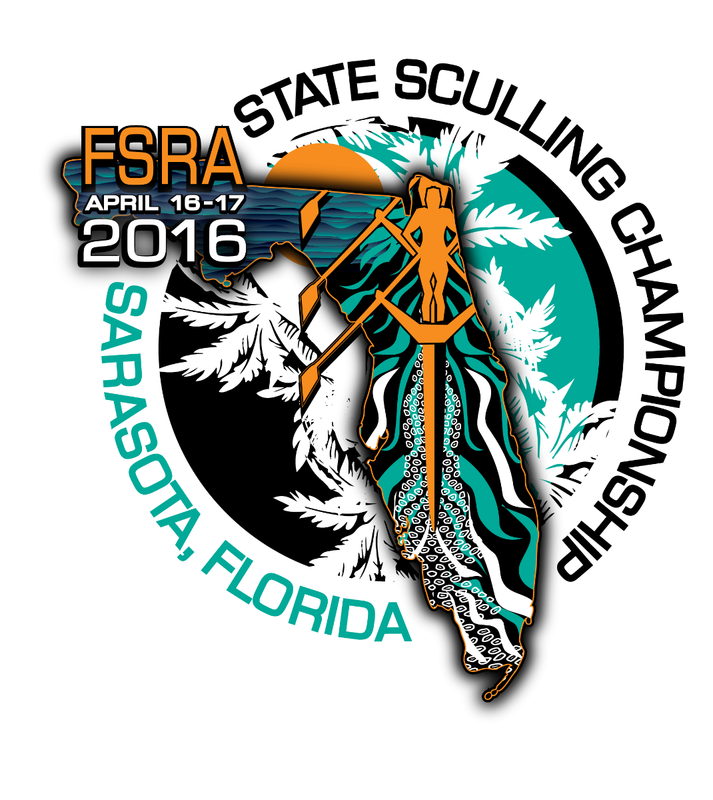 The FSRA Sculling Championships will be held over the next two days at Nathan Benderson Park, Sarasota, Florida. Florida Scholastic Rowing Association will host 296 entries from 34 clubs. The Cincinnati High School Invitational will be held on Harsha Lake in Bethel, Ohio, hosted by the Cincinnati Junior Rowing Club. There will be 170 entries from 14 clubs competing in High School and Junior categories. Also in Ohio, the Dillon Lake Scholastic Sprints, formerly known as the Dillon Lake Invitational, will be held on Dillon Lake in Nashport. Dillion Lake LOC will host 213 entries from 22 High School teams. The Covered Bridge Regatta will be held over the next two days just 15 miles southeast of Eugene, Oregon on Dexter Lake. Oregon Association of Rowers will host 623 entries from 30 clubs in Juniors, High School, Open and Masters categories. 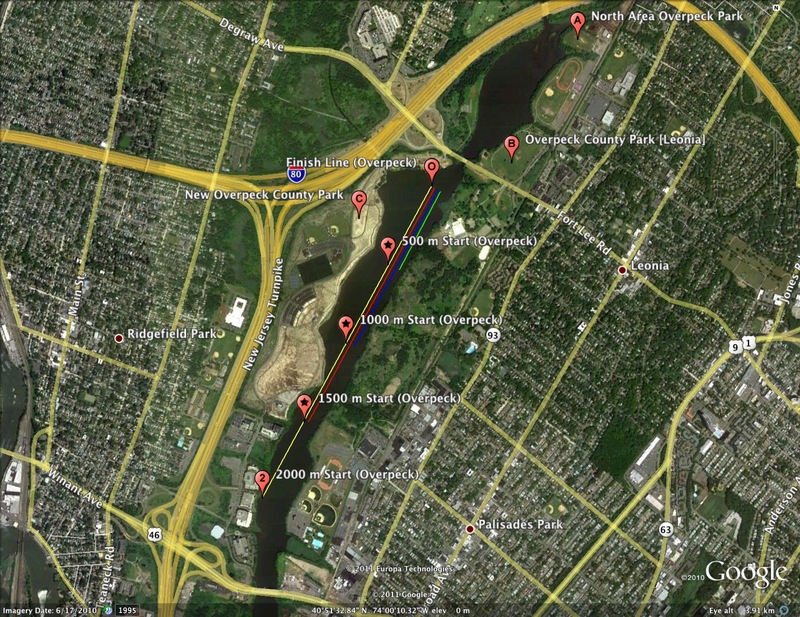 The Mercer Lake/ISA ScullingChampionships will be held at 2016 Mercer County Park in West Windsor, New Jersey. Princeton National Rowing Association will host 513 entries from 46 clubs. The 2016 Mercer Lake Sprints will span 2 days, Saturday, April 16 and Sunday, April 17 and keep to the same schedule as last year. Novice will race 1500m today.Varsity will will race 2000m on Saturday with – 1x, 2x, 2- and A and B finals on Sunday. The last race on Sunday will be open to the teams earning the top performance in the Mens and Womens Varsity 8+ and Varsity 4+ events. 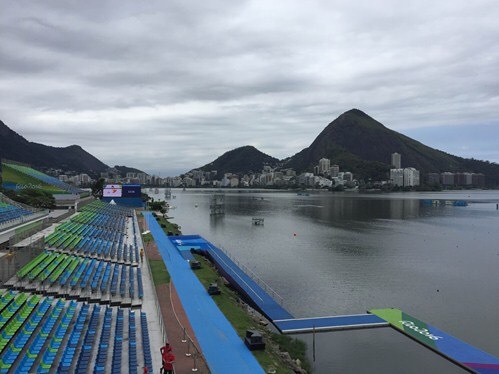 These teams will race a Men’s 8+, Women’s 8+, Men’s 4+ and Women’s 4+ in a 500 meter sprint relay. One dollar from every rower competing in the regatta will be collected by the Princeton National Rowing Association to support the Junior National Team. 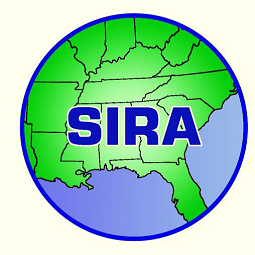 The Southern Intercollegiate Rowing Championships (SIRA) will be held both Saturday and Sunday on Melton Hill Lake in Oak Ridge, Tennessee hosted by the Southern Intercollegiate Rowing Association. There will be 322 entries from 61 clubs. The Kerr Cup will be held on the Schuylkill River in Philadelphia. Drexel University will host 218 entries from 34 clubs at the Bachelors Barge Club, #6 Boathouse Row. 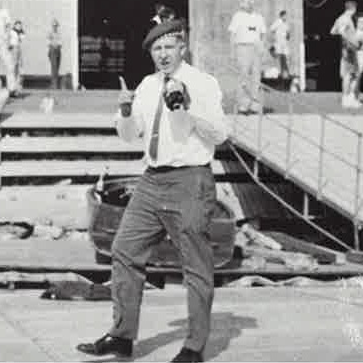 In 1967, Drexel University Alumni established the Kerr Cup to honor former Drexel Coach, Dr. Thomas Kerr, Jr. who started the Drexel rowing program in the fall of 1957 and was coach, team’s physician and surgeon until 1968. An accomplished and devoted rower, Kerr in the 1932 Olympics competed in the 4+ and also competed in th National Champion 8+ in 1931. In 1987, Kerr was inducted into the Drexel Athletic Hall of Fame. In Massachusetts, the UMass Lowell Invite will be held on the Merrimack River in Lowell. The Clemson Invite will be held both today and tomorrow in Clemson, North Carolina. The Lake Natoma Invitational will be held today and tomorrow in Gold River, California. The Illinois Collegiate Rowing Invitational will be held on Clinton Lake at the Parnell Boat Access in Farmer City. The University of Illinois Rowing Club will host 71 Collegiate entries from 12 clubs. The 18th Annual Busfield Regatta will be held at the Les Wagner Rowing Center in Owego, New York. There will be 42 entries from 8 clubs hosted by the Binghamton University Crew. In New Jersey, the Eisenberg Cup will be at stake for Yale, Southern California at Princeton. In California, Cal Lightweights will host a Dual Meet with Cal Lights competing with CMA Heavies at the Oakland Estuary in Oakland. EARC Lightweight Men includes: Dodge Cup: Penn vs. Yale, Columbia, Biglin Bowl: Dartmouth vs. Harvard, MIT, Platt Cup: Princeton vs. Cornell, Navy vs. Georgetown. *Cancellation: In British Rowing, the Chester Le Street Regatta in the Northern region has been cancelled for today due to water level. The Oxford City Bumping Races hosted by the City of Oxford Rowing Club will be held today in the Thames region. 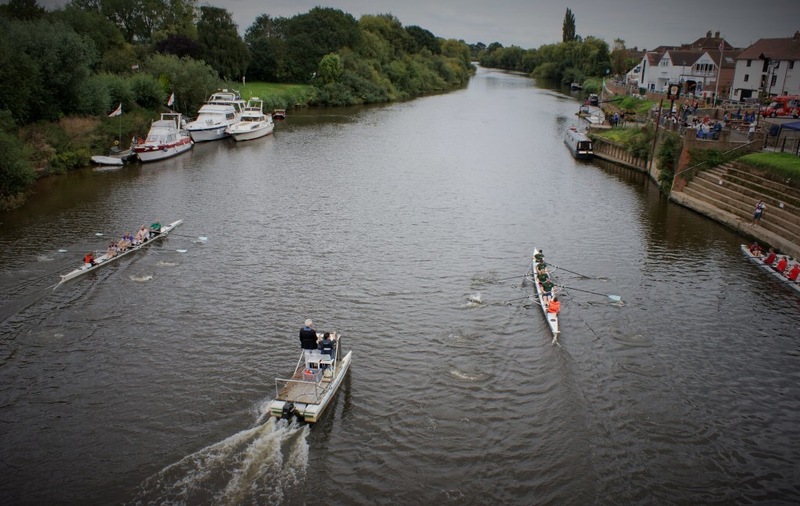 The course runs 1800m upstream on the River Isis in Oxford for Senior, Junior and Open 4+ crews comprised of four rowers, a coxswain, a poleman and a bicycle riding judge. Yes you read that right, a bicycle riding judge. Men and women race in separate divisions. Start time is based on last year’s finish time and order. The goal is to finish well for next year’s position. The annual Dart Head will be held today hosted by the Dart Totnes Amateur Rowing Club. The 15 kilometer race will start up river from Dartmouth to Totnes. 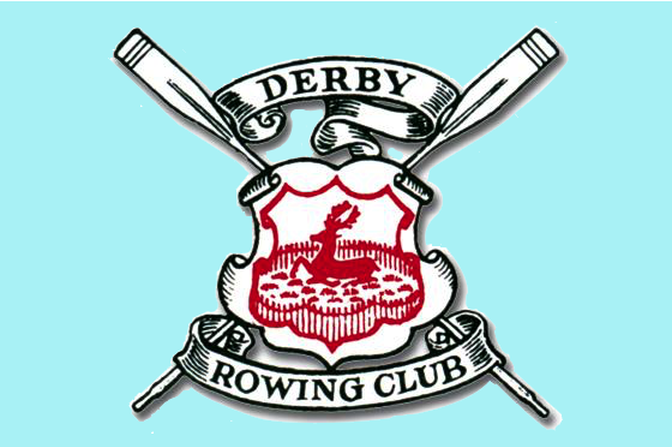 The Derby Really Small Boats Head in the West Midlands Region hosted by the Derby Rowing Club. 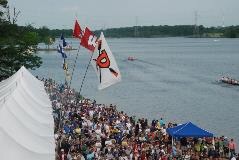 The Derby Really Small Boats Regatta was rescheduled from the original April 13 date. Whew! That my friend, is a lot of rowing. Good luck to all.